Permethrin is an insecticide with a wide range of residential, agricultural, forestry and medical uses. 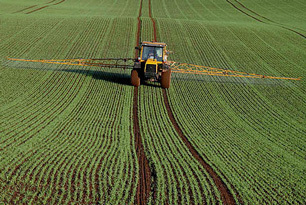 Each year, 2 million pounds are applied to crops, livestock, buildings, transportation and residential homes. Because it degrades quickly in the environment, permethrin is typically not considered to be a water treatment concern. Permethrin is mildly toxic to humans, classified by the World Health Organization as being “moderately hazardous” with acute exposure and considered to be below the level of concern for the EPA. Studies are still inconclusive as to its carcinogenicity, with some animal studies showing tumor growth and others not. The International Organization for Research on Cancer has concluded that it is “not classifiable as to its carcinogenicity to humans,” but the EPA considers it a likely human carcinogen. The EPA recommends activated carbon for the treatment of permethrin.